Thanks to NetGalley and Simon & Schuster Children’s Publishing for the opportunity to read and review The Precious Dreadful by Steven Parlato. Teddi’s summer vacation begins with a few options. She decides to spend time with Summerteens, the local library’s summer writing workshop. Before the workshop kicks off, Teddi has had a spooky encounter, a kiss and an argument with her single, downtrodden mother. I fell in love with The Precious Dreadful, Teddi’s personality and boldness and the variety of characters it holds in its pages! 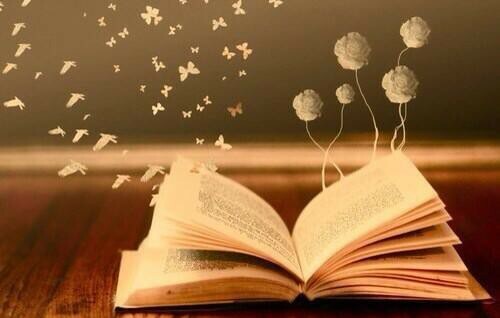 The more I read, the deeper the story took me. Teddi has pretty much raised herself since her mother, Brenda, tends to be drunk and partying with her friends instead of being available and sober for her daughter. Brenda is also keeping secrets from Teddi and has tried to, in her own dysfunctional way, protect her role as a mother. As Teddi’s summer rolls on, relationships become more complicated and drama-ridden and her subconscious is forcing her to remember a traumatic and horrible part of her childhood. The Precious Dreadful bends genres: mystery, horror, supernatural, romance and young adult realistic fiction; this book also pulls at your heartstrings through intense tragedy, awareness of bad choices and the bond of friendship and kindness of others and it’s well deserving of 5 stars! Thanks to NetGalley and Workman Publishing Company for the opportunity to read and review Quackery: A Brief History of the Worst Ways to Cure Everything by Lydia Kang. The book has sections for elements, plants and soil, tools, animals and mysterious powers. The first section begins with the medicinal use of mercury. Interesting and intriguing in its awfulness, especially the part about using it for babies who are teething; whoa! Then I learned about the First Emperor of the Qin Dynasty who was desperate for immortality and was given mercury medicines by his alchemists because they thought that was the answer. He died at forty-nine and his mausoleum rivals Egyptian pharaohs and is said to be flowing with rivers of mercury! Tidbits of mercury use include historical figures such as Abraham Lincoln, Napoleon and Edgar Allan Poe. Reading about Opium use was eye-opening and jaw-dropping, especially the part about giving it to quiet crying babies and children! The No More Pain with Cocaine part all the way to cannibalism and corpse medicine kept me morbidly fascinated. 5 stars for a must-read of a sketchy piece of history! Thanks to NetGalley and Berkley Publishing Group for the opportunity to read and review Hotel Scarface by Roben Farzad. This nonfiction account of 1970’s-1990’s Miami begins with action. The book continues, highlighting certain characters of the time and tells everything honestly and boldly. I became overwhelmed with the money, drugs, violence and human degradation as I continued to read. It’s difficult to comprehend that this is reality and people’s lives. The notes at the end of the book state that a remake of Scarface will take place in 2017. The whole time I was reading this book, I visualized the original Scarface movie. 4 stars for a true account of crime in Miami!